Earlier this month, on 14 Jun 2016, staff of the International Livestock Research Institute (ILRI) helped organize a side event during the 7th Africa Agriculture Science Week on ‘How research is contributing to Livestock Development Strategy for Africa (LiDESA)’. Four livestock-source foods—milk, pork, beef and chicken—are now worth over USD600 billion globally, making them among the world’s top six agricultural commodities in terms of value. This value continues, growing rapidly due to rising demand in developing countries, now accounts for about 40% of agricultural gross domestic product (GDP) globally, often much more in developing countries. By 2050, milk consumption is likely to triple in East Africa, while consumption of monogastric foods (pork, poultry meat and eggs) will increase at least four-fold. 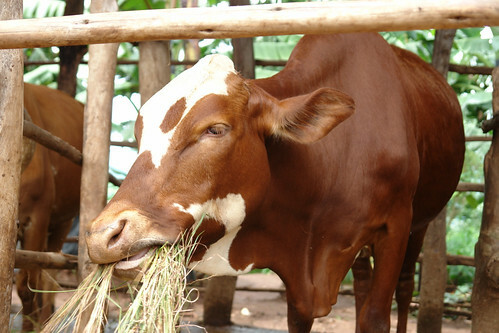 Given Africa’s natural endowments of land, water and pasture resources, most of which remain under-utilized and under-developed, Africa’s livestock sector can overcome these challenges to meet the continent’s growing demand for meat, milk and eggs while spurring growth and socio-economic transformation, as envisioned in the Malabo Declaration on Accelerated Agricultural Growth and Transformation for Shared Prosperity and Improved Livelihoods, which was adopted by the AU Assembly in Malabo, Equatorial Guinea, in Jun 2014. Greater private and public investments in livestock inputs, services and markets can significantly raise the generally low productivity levels of Africa livestock, most of which are still raised extensively on natural pasture. 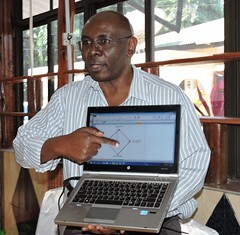 The African Union Commission, through the African Union–InterAfrican Bureau for Animal Resources (AU-IBAR), recently led multi-stakeholder consultations and conducted comprehensive assessments of the livestock sector, including in-depth situation analyses of all five of Africa’s sub-regions. The products of these processes were used to formulate a 50-year Livestock Development Strategy for Africa (LiDESA), with the goal ‘to transform the African livestock sector for enhanced contribution to socio-economic development and equitable growth’. (1) Partnerships are key to achieve our goals and have impact on the ground. 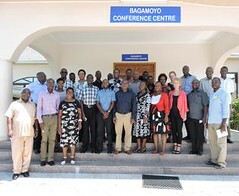 National partners should be involved in strategic aspects of projects and programs right from the inception phase so that they are part and parcel of the strategic agenda rather than looped in only at the implementation phases of the work, as is currently common. (2) Science alone is not enough to bring about the transformational change we envisage. We need to strengthen country systems, particularly implementation by line ministries. (3) Livestock research should also address the environmental footprints associated with livestock production, such as greenhouse gas emissions. (4) Research on regional livestock trade issues, which are often ignored, should be strengthened because these aspects are important in resolving non-tariff barriers that hinder regional and cross-border trade. Tags: #AASW7, FARA, LIDESA. Bookmark the permalink.